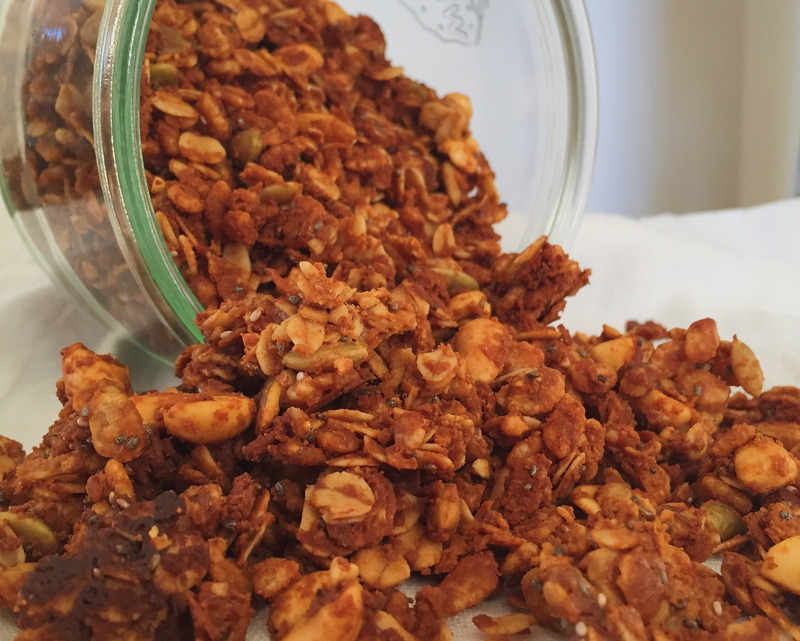 Crispy Peanut Butter-Honey Granola – A Healthy Pinch. Halloween has come and gone and turned out to be much less eventful than anticipated. I was so excited for my son’s first Halloween, especially because my father was in town and able to experience this holiday with us. We had plans to attend a fall festival in the morning that his baby class was hosting, which would probably have been cuteness overload. My husband’s aunt handmade the most adorable bear costume that was worn all of 10 minutes for pictures…and that was that. However my 9 month-old ended up sleeping through all the holiday festivities and with only one group of trick-or-treaters stopping by, it felt like a regular Saturday. Now we are left with almost an entire box of full-size candy bars (these kids didn’t know what they were missing out on!) and my willpower not to eat one every time I pass them in the hall. 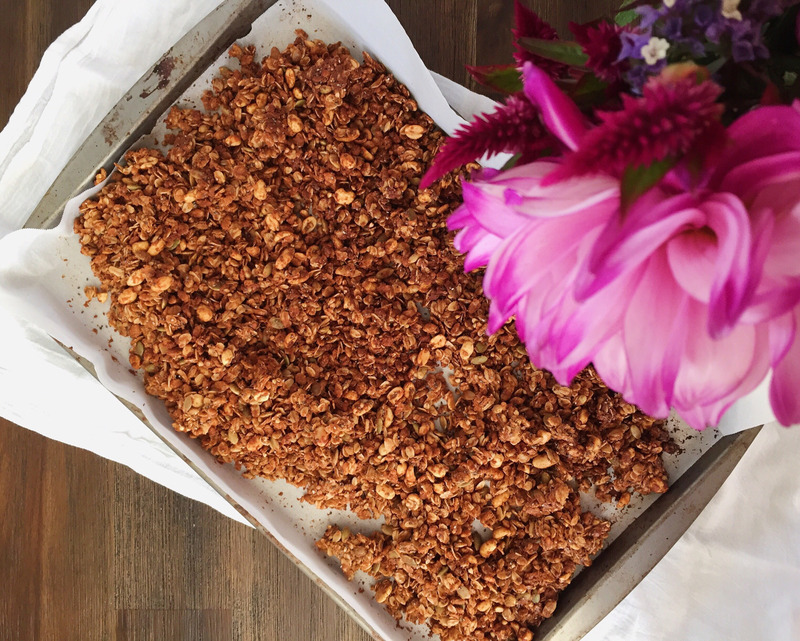 Which leads me to this Crispy Peanut Butter Honey granola. I have a batch of the Chunky Chocolate Buckwheat granola from My New Roots sitting on my counter, so I decided I needed to complement its flavor by making a peanut butter version. 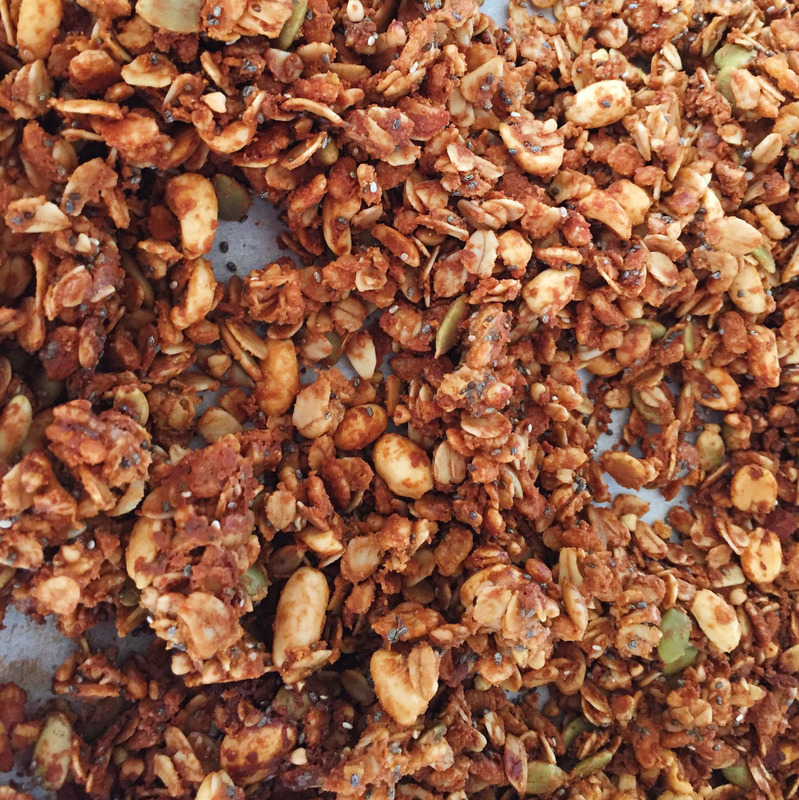 I use crisp brown rice, peanuts, and pepitas which give the granola an addicting crunch. Instead of actual peanut butter, I used PB2 which is peanut butter in powdered form and it ended up working perfectly. So now I have chocolate and peanut butter granola which give me the flavors of my favorite Reese’s Peanut Butter cups without eating my weight in candy. Winning! 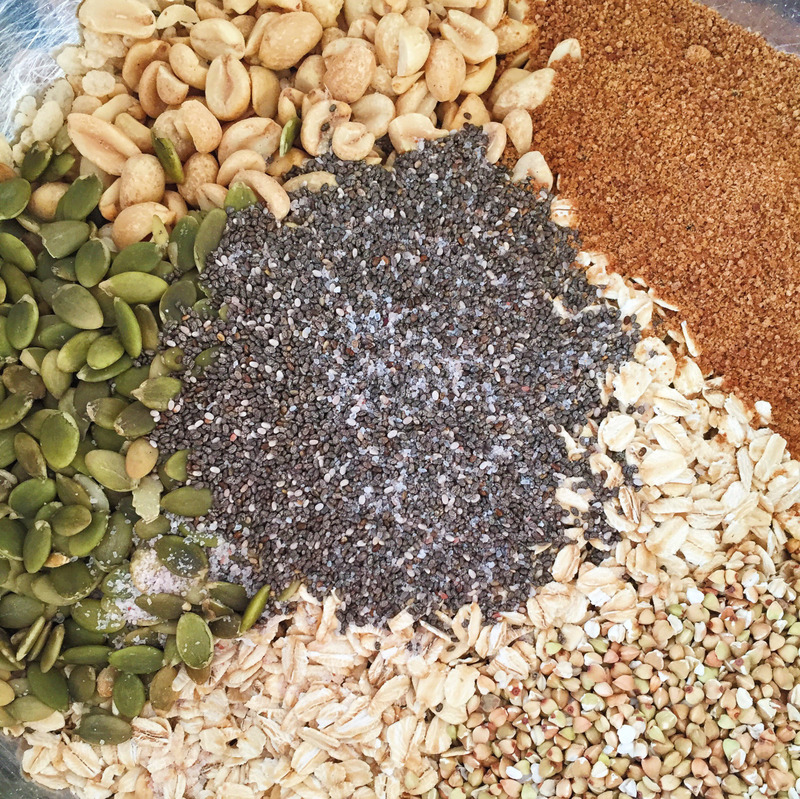 In a large bowl, combine the crisp brown rice, rolled oats, buckwheat groats, chia seeds, coconut sugar and salt. In a small sauce pan over low-medium heat, melt the coconut oil. Add honey, vanilla and PB2. Whisk to combine until smooth. Pour liquid ingredients over dry and fold everything together. Evenly spread mixture on a parchment-lined baking sheet and using a spatula, press down to make sure everything is compact. Bake for 15 minutes. Remove from oven and give mixture a quick stir or flip, leaving some chunks. Place granola back in the oven for another 15-20 minutes. Feel free to take it out early if you feel it’s getting too dark. Let cool completely, break up into chunks and store in an airtight container.